Completely remodeled home.. New siding, windows, paint, kitchen cabinets, counter tops, new bath vanities, new lightning fixtures, new rear decks, new sliding glass door, new appliances. Large home with open floor plan, living room, kitchen with dining room, large family room with fireplace. This home has 2 additional rooms that could be used as bedrooms and 3 full baths but the septic system is for a 3 bedroom home. Large lot close to town. New HVAC system. Pasquotank Elementary Elementary School / Public 2 2.85 mi. River Road Middle Middle School / Public 3 4.2 mi. Northeastern High High School / Public 2 1.69 mi. Albemarle School * Elementary School, Middle School, High School / Private N/A 0.82 mi. Central Elementary * Elementary School / Public 3 1.37 mi. Elizabeth City Sda School * Elementary School, Middle School / Private N/A 1.13 mi. 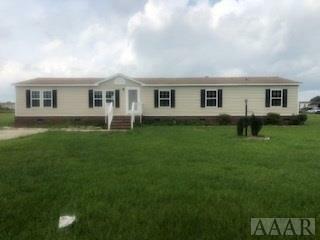 755 Oak Stump Road, Elizabeth City, NC 27909 is a 3 bedroom, 3 bath single family home was sold for $122,000.